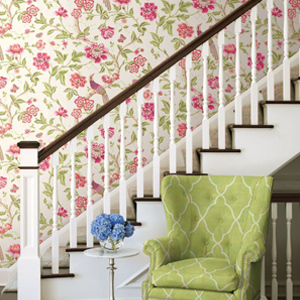 This beautifully colored wallpaper print “Notting Hill” was inspired from a vintage fabric document. Often, antique fabrics had many birds within floral patterns as they were popular in historic times and had various symbolic meanings. Birds often represented freedom, energy and beauty. In Feng Shui birds can be symbols of new opportunities, love and commitment and the peacock was considered to be a symbol of abundance and good luck. This enticing Zebra print Zanzibar in Chartreus comes in fabric and wallpaper. This animal print is a classic but is updated in colour and texture. This fabulous print enhances any style whether its modern or traditional, it automatically makes a designer statement. This design Chanticleer was partly inspired by Key West and of French style. Wild roosters roam around the Key West neighborhood and there is a delightful freedom felt as these characters strut their stuff. Mixed in are beautiful orchids and tropical vines as the roosters pose from time to time amongst the palm fronds and ferns. Chanticleer is French and it means “sing clear” and can refer to a Rooster appearing in fables. 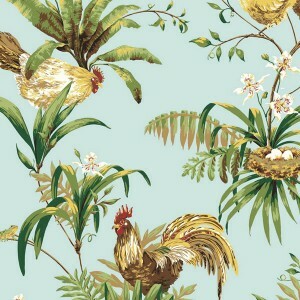 I always name my book after a pattern and so the Jaima Brown Home Chanticleer Collection was named after this design. 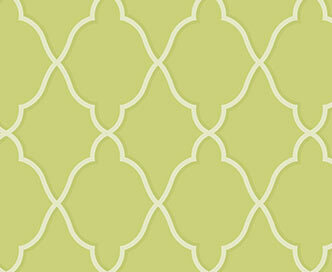 Modern graphics are all the rage but the real beauty of these prints is that these patterns are timeless. 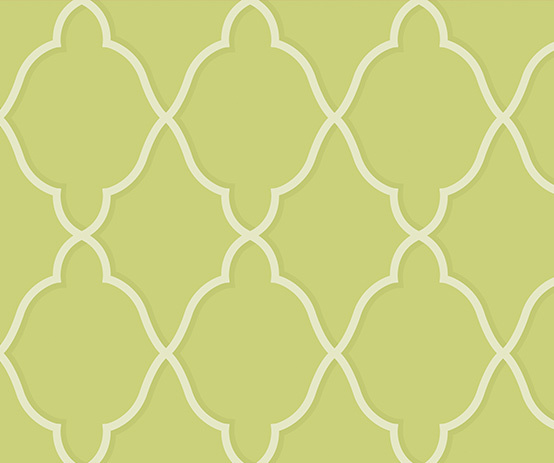 This large scale Lattice print fabric is a blend of linen and cotton. 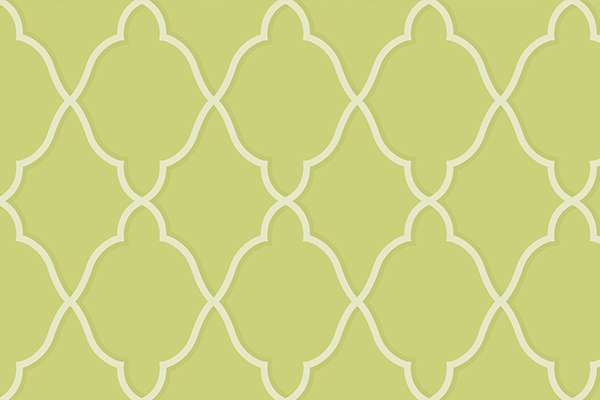 This unique shade, Chartreus is the new favorite for next year and is just beginning to be scene in home and fashion design. 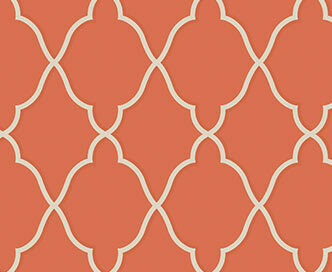 This hue is fabulous when blended with gray, black, navy, pink, aqua, plum or orange. 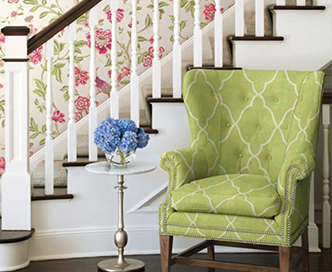 Chartreus is becoming known as the new neutral for today’s fashion and home palette. The Lattice print fabric also comes in a sophisticated pink, blue aqua, mango orange and lime. These fresh colors are signature to the Jaima Brown Home brand. When using these shades of a color palette, it always makes a personal home or work space more inviting and invigorating. 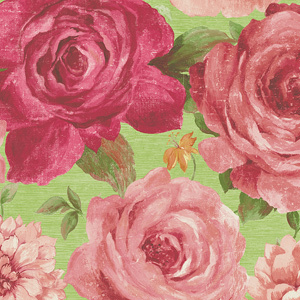 It’s a known fact, beautiful colors and prints make people feel happier…so enjoy! The Zanzibar fabric and wallpaper can be found in the Notting Hill Collection by Jaima Brown Home. All copyright Jaima Brown Home TM. I just had to design a garden print as I was inspired by my British parents passion for gardening. That influence of creating English gardens and the influx of florals coming back into style influenced my romantic side of floral design. 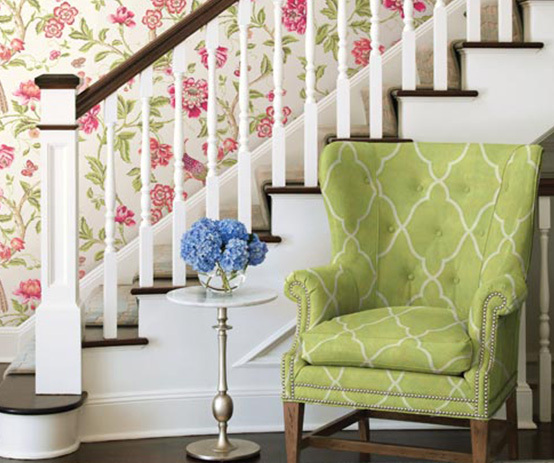 This delightful grand scale floral makes a bold designer statement when upholstered on a couch or used for draperies in a bedroom or living room.